Happy Eco News would like to give you a Christmas gift! We are giving away what we call a Zero Waste Kitchen Hamper. We use these products in our own home to help reduce the amount of plastic and waste that we generate. 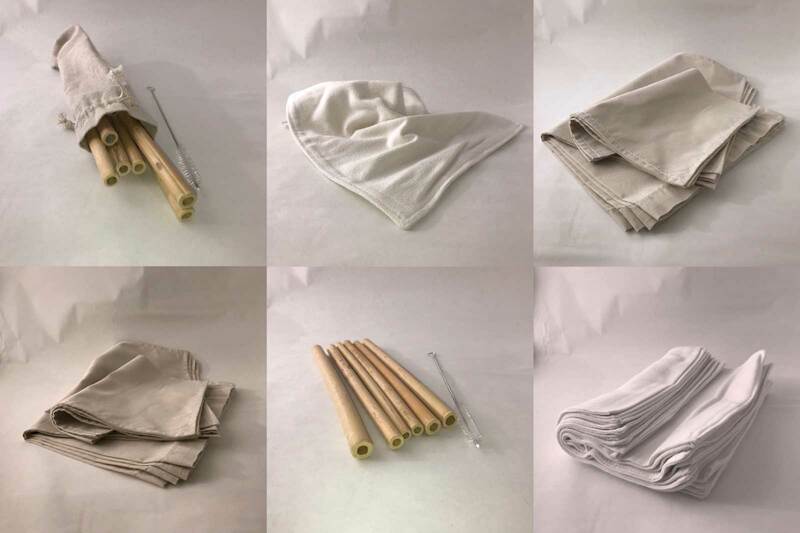 Reusable bamboo straws wide enough to drink a smoothie, tight weave cotton fabric bags for bulk goods/produce and the softest two layer cotton un-paper towels you have ever used. They can be used, washed and reused over again. If you would like to reduce your waste in 2019, please enter the contest and share the Happy Eco News!